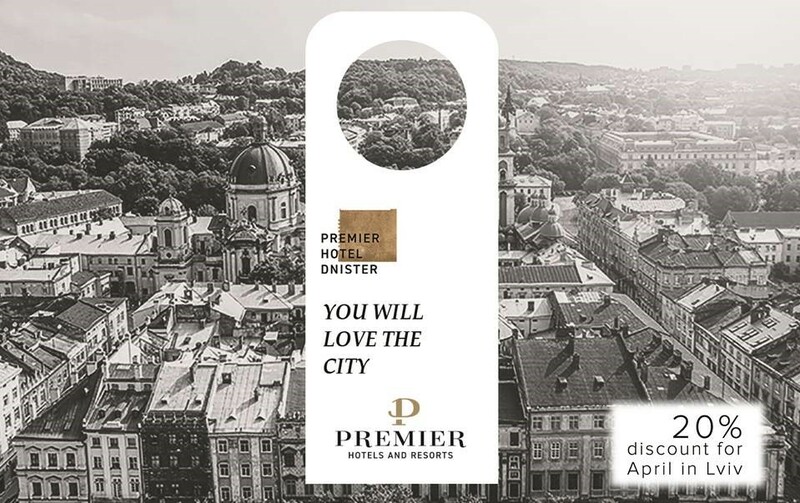 Premier Hotel Dnister invites you to the blooming Lviv! “French Spring”, Easter, or just a sunny weekend – we know how difficult it is to not go to Lviv in the spring time. And why do you hold back? Only in April, get a 20% discount at Premier Hotel Dnister when booking Premier or Senior Suite. In the spring of 2019 a unique tour of the vocalist of the group Ocean Elzy will take place. Svyatoslav will present a concert program of his favorite songs, accompanying himself with the piano. Accompanying this action will be the chamber orchestra under the leadership of Milos Elič. A jaw-dropping family comedy about the lives of two married couples in Paris – the city of love and romance that the maid tells us. This show in the restaurant format reveals the detective story to the modern viewer. An optimistic final will not leave anyone indifferent. Accompanied by live French music, you can have some coffee, have a dessert to your taste and even become a participant of an incredible performance. Selection of the best French short films shown in the original language with subtitles. Most of the “Nights” films were presented to the public at international film festivals in Cannes, Clermont-Ferrand, New York and Toronto. Fantastic drama, comedy, animated films – everyone will find something to their soul. In the program: Vivaldi, Strauss, Bach … And musicians are clowns, more precisely “poets in action” by Henry Miller’s definition. Pantomime, acrobatics, music, almost without a single word – “Traveling Kings” communicate in a universal language. And an old philosopher, both young and old, will be captured, enchanted, excited, and bewitched by the proposed action. Audience Award at the Avignon Festival in 2013. One of the pioneers of the French Stretator Marko93 begins to create his first graffiti in the period when a hip-hop movement in France occurs. His graphic style, replete with the accumulation of letters, realistic scenes, freestyle, as well as light graffiti, will fully manifest in Lviv, where he will create two morals and hold a master class of light graffiti. He will be joined the world champion of DMC (Disco Mix Club), French, DJ Nelson. By combining hip-hop, afro, funky and electronic music in his sets, he will charge concert halls in different parts of the world.